The Dream Suites Punta Cana is the newest resort from Lifestyle Holidays Vacation Club. Here, you can enjoy a vacation tailor-made for you, whether you are a couple looking for a romantic getaway for two or a family wanting a vacation as fun and adventurous as you are. Punta Cana is the jewel of the Dominican Republic vacation destinations, and is filled with opportunities for everything from nightlife and shopping to scuba diving lessons and golf courses. At the resort, these Dominican Republic timeshares for sale come with furnished apartments complete with all the amenities of a vacation home: air conditioning, cable TV, and well-shaded patios or verandas where you can sit back and enjoy the tropical vistas. You can pick from a one or two bedroom timeshare suite with accommodations for four to six people. Everything about the rooms is designed to match the laid-back, tropical lifestyle, and the all-inclusive program means you will never have to worry about a single meal. There are several onsite restaurants, bars, and even a casino. 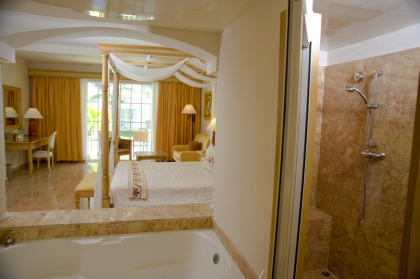 Whether your tropical paradise dream consists of fun and games or soothing spas and ultimate relaxation, the Dream Suites Punta Cana has timeshare accommodations for you. There is a spa, fitness center, and shopping center so you can relax, exercise and capture retail therapy all without leaving the premises. For dining, you can pick from one of four international restaurants, or pick up a quick snack at the poolside snack bar. Adults can get drinks from the poolside bar or the beachside bar, and have a cool drink while swimming and suntanning near the water. Kids, meanwhile, will have their own kid's pool to splash in, and many age-appropriate activities. These Dominican Republic timeshares for sale will give you the perfect destination for a great time. Special get-togethers are hosted at the disco floor every Sunday and Thursday night, where you can party and dance the night away. Several water sports are available onsite, including snorkeling equipment, boogie boards, and kayaks. There are so many activities to choose from at the Dream Suites Punta Cana that your vacation will be without regrets. 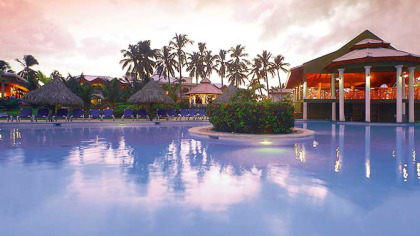 Contact Dream Suites Punta Cana- By Lifestyle Holiday Vacation Club Specialist Today!